Employees who take leave under the ESA have considerable rights and protections. While an employer is not required to pay employees when they are on statutory leave, an employee who takes leave under the ESA has considerable rights and protections (ss. 51 to 53). These rights have been put in place to ensure that an employee is put in the same, if not similar, position that they would have been in if they had not taken leave. In other words, an employee should not suffer consequences because they chose to exercise their right to take a statutory leave. This blog post will be touching employee rights which are guaranteed under the ESA. When an employee’s leave ends, an employer must reinstate the employee in the same position if it still exists. If the position no longer exists, then the new position offered should at least be a comparable one. However, employees may only be brought back to a “comparable” job if the position prior to the leave actually no longer exists. Therefore, if the job still exists but is being performed by someone else, a comparable job should not be offered and the employee should be placed back in their previous position. For a job to be considered “comparable,” the salary must be at least equal to what the employee received before going on leave. There should also be no significant change in duties, levels of responsibility, location, hours, job security and opportunities for promotions. It is important to note that reinstatement is only granted where there is absolute proof of a violation. In many cases employees get generous severance packages instead of reinstatement, many times at the employee’s request since they don’t want to go back to employment with their past employer. An employer must continue to pay its portion of premiums for benefit plans offered prior to the employee’s leave. However, if an employee chooses to, and states in writing, not to pay their share of the premiums required by any plans, then the employer would be exempt from their obligations. It is important to note that there is one type of leave where this right does not apply which is a reservist leave. Employees on leave continue to earn time for service and length of employment as if they had continued to work during the leave period. 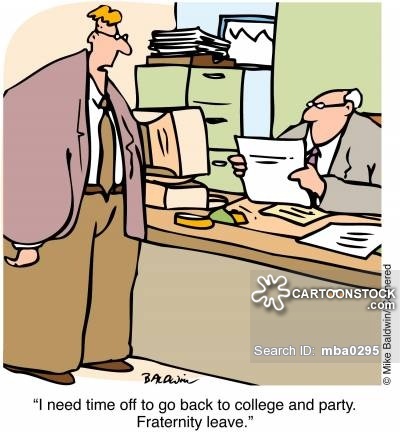 For example, if an employee worked at a company for 4 years but was on leave for 1 year, the employee would still be considered a 5-year employee. However, for the purpose of completing a probationary period, the time on leave will not count towards this period and an employee must complete the probationary period after returning to work. During a leave of absence, an employee does not lose out on their (unpaid) vacation time entitlement. An employee may defer their vacation time until after the leave ends, or if the employer agrees, one may be able to take the vacation at another time. However, policies differ for paid leave. Employers are prevented from penalizing or threatening to penalize employees in any way in certain circumstances. One of these circumstances is when an employee exercises, or is trying to exercise, a right under the ESA. Employees cannot be penalized for taking, planning to take, or being eligible to take a statutory leave of absence. If you have taken a statutory leave of absence and your rights have been infringed or you have been wrongfully terminated, it is best to talk to a lawyer specializing in Employment Law when facing this situation. Please contact Monkhouse Law today at (416) 907-9249 for a free 30 minute consultation over the phone to discuss your options.